Kit Singh is seeking hundreds of thousands of dollars in damages from what he calls a conspiracy to ruin his reputation. Jagpreet "Kit" Singh is suing his former employees. 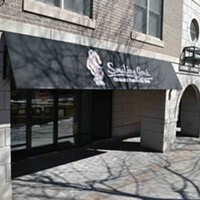 The owner of the Smiling Goat chain of cafes is claiming his former workers and the Service Employees International Union conspired to harm his business and ruin his reputation. Jagpreet “Kit” Singh and his Hebron Hospitality Group filed two different lawsuits this past week against six former employees and the SEIU Local 2. Employees at four Smiling Goat locations voted back in March to become part of the SEIU, joining two previous Just Us! cafes—bought by Singh months earlier—that were already part of the union. 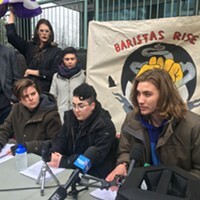 The workers immediately went to the media and held public protests alleging that dozens of their paycheques had bounced over the past several months and that they were living primarily off of tips. In court documents, Singh contends the “chanted words” at rallies suggesting he stole personal wages and the claims baristas were living off tips aren't true. Singh also takes issue with comments made by former Smiling Goat worker Keith Karding on Facebook and in the media that Singh used employee wages to take his family on a trip to Disney World. The Florida trip, according to the statement of claim, was a gift from Singh's parents to the family’s four young children. A ruling from the province’s Labour Board in May says that all employees working up to the date of the vote were eligible for union certification, notwithstanding that nine of the 15 voting employees had since left the job. Another employee singled out in the lawsuits is Michael Sampson, who worked at the Smiling Goat on Spring Garden Road. Hebron claims Sampson falsely represented working a shift and failed to recruit and train nine new baristas, despite accepting a $300 bonus to do so. Singh also alleges Sampson quit without sufficient notice and refused to provide Hebron with the login info for Smiling Goat’s social media accounts. None of the claims made by Singh and Hebron have been tested in court and the respondents have not yet filed a response. Singh quietly became a major player in the local cafe scene two years ago when he moved to Halifax from England and purchased the two existing Smiling Goat cafes. He quickly opened four more locations—including the former Just Us! cafes on Spring Garden Road and at King’s Wharf. Very quickly accusations started to mount of bounced cheques, unpaid suppliers and even taxes taken off employee wages that were never remitted to the CRA. Since then, coffee suppliers, bakeries, landlords and lawyers have gone after Hebron for unpaid bills totalling tens of thousands of dollars. A recent Labour Standards Board ruling ordered Hebron to pay nearly $1,000 in unpaid wages owed to a single employee. The business owner was even sued by the very law firm that helped him purchase the Smiling Goat in the first place. Boyne Clarke partner Robert Miedema is quoted in court documents saying that never in his career has he wasted more time bartering fees with a client. According to court documents, sales at each Smiling Goat location decreased by 50 percent during April and May. The lawsuits state that in recent months, Singh has had to sell $40,000 of his personal assets and borrow $80,000 from family members to keep the business afloat. Hebron is looking to be awarded a total of $78,500 in lost revenue, $100,000 in general damages for conspiracy to inflict economic harm and $250,000 each from the SEIU and ex-employee Kateri Lawson. The company is also seeking $4,000 from Sampson, which includes $3,600 (or six weeks wages) for not giving proper notice before quitting, $250 for breaching his recruitment commitments and $75 for saying he worked a shift he didn’t. Singh is also looking for punitive damages of $250,000, money to cover the insufficient resignation notices he says were given by employees, general damages for future loss of revenue and reputation and also an accounting of cash from the employees’ “tip jar” and GoFundMe campaigns. Hebron is also requesting that the union certification order approved by the Labour Board be rescinded. 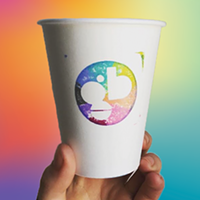 In related news, former Smiling Goat baristas are opening a cooperative cafe dubbed Glitter Bean at the former Just Us! on Spring Garden Road. 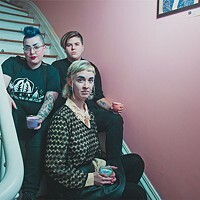 The most inspiring labour story this year was a queer-owned, queer-focused venue where the city gathers to organize, socialize and celebrate. Labour Standards issues ruling against owner Kit Singh, as other workers continue to protest for the money they're owed. 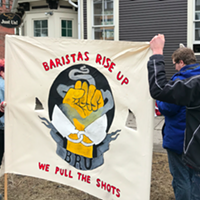 Friday afternoon, amidst accusations of mismanagement, staff of Halifax’s largest independent cafe chain voted on unionizing. 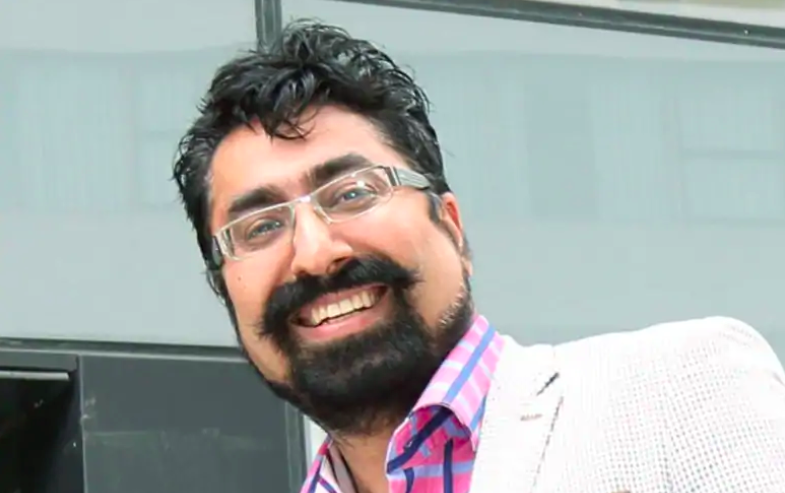 Businessman Kit Singh has big plans for espresso bar, and Halifax.